Four documents were signed in Ankara last week by Russian and Turkish officers, facilitating a Syrian ceasefire deal that went into effect on December 30. The documents are the product of four weeks of intensive secret talks held under auspices of the Turkish government, outlining a political roadmap for the Syrian crisis, tailor-made to fit the liking of Russian President Vladimir Putin and his Turkish counterpart, Recep Tayyip Erdogan. “The deal is a game changer no doubt but there are challenges ahead,” Ibrahim Hamidi,a senior editor of the London-daily al-Hayat newspaper, who saw the four documents, told Gulf News. 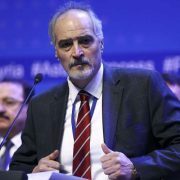 In addition to a nationwide ceasefire that excludes territories occupied by ISIS, and the Al Qaida-linked Jabhat al-Nusra which now calls itself Fateh Al Sham, the agreement calls for the deployment of Russian and Turkish military personnel to man checkpoints and monitor the ceasefire throughout Syria. 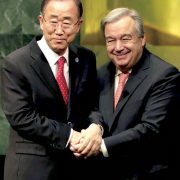 The documents also stressed that all stakeholders will start a political process in Astana, the capital of Kazakhstan, ahead of a new round of UN-mandated negotiations in Geneva, scheduled for February 8, 2017. Document One was signed by generals from Russia, Turkey, and the Syrian Army,represented by proxy via Deputy Chief of Staff General General Shawki Ahmad Yousuf. It was neither signed nor witnessed by the rebel groups and it gave government approval to send an official delegation to the Kazakhstan conference, which is the brainchild of Putin, by no later than 15 January 2017. 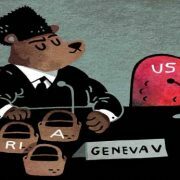 The document emphasis that there is “no alternative” to a political outcome to the Syria war—a de facto recognition by Syrian officialdom that the war will not be won militarily by either side. Document Two was signed by the armed Turks, Russians, and 13 members of the armed Syrian opposition, who all pledged to join the political process and unite their efforts with Moscow and Ankara in the war against Al Nusra and ISIS, with no mention of Al Assad’s fate. It too gives a pledge, this time by the opposition, to attend and facilitate the Kazakhstan talks. The 13 military groups that agreed to this document are varied in size and power, from Suqoor al-Sham, a major player in the Syrian north with an estimated fighting force of 10,000 men to the First Coastal Division in countryside of Latakia, with a maximum of 200 troops. The Russians claim that seven other major armed groups have agreed to join the process as well, including the powerful Ahrar al-Sham, composed of around 20,000 fighters. The memo accuses the Russians of peddling a lopsided agreement that gives the “upper hand” to the regime and abides by Putin’s rules of engagement, with no mention of Al Assad’s future. As for the third document signed in Ankara, it too was authored by Turkish and Russian officials, establishing a joint committee to monitor the ceasefire and register its violations, with no political dimension to it. Document Four, signed by the two guarantors and no Syrians, pledges that neither of the warring factions will advance to take new territory once the ceasefire goes into effect as of December 30. 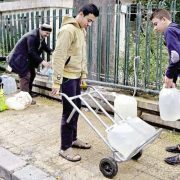 The Syrian Opposition claims that this part of the deal has already been breached by Damascus, whose forces have been advancing toward Wadi Barada, despite the ceasefire, in the countryside of Damascus hoping to take the valley that houses the main water supply of the Syrian capital. 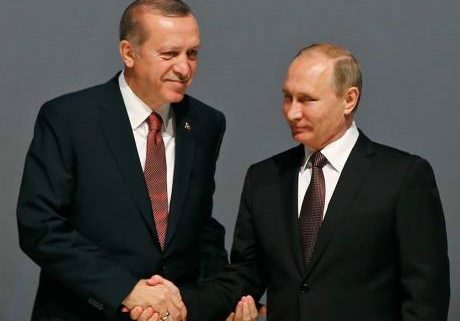 The Turkish-Russian agreement speaks volumes about how far Putin and Erdogan are bending to come up with something concrete for Syria, investing in the current vacuum of the US administration. They realise that even after assuming office, Trump is un-interested in engaging in Syrian affairs, and has surrendered to Putin’s endgame. The Russians have seemingly agreed to legitimize non-state players once written off as “terrorist” and to give them a role in co-administering their towns and villages, with the possibility of making them cabinet ministers in any transitional government. 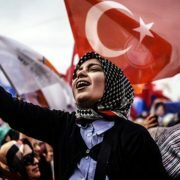 They have also allowed the Turkish Army to march into towns and cities along the border with Syria, or at least not objected to the move as Turkish tanks rumbled into Jarablus last August and are now advancing on al-Bab, 40-km northeast of Aleppo. 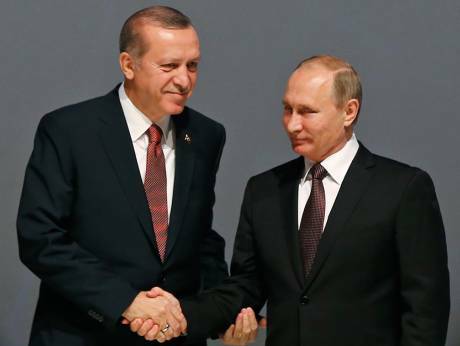 In exchange, Erdogan looked the other way as Putin retook Aleppo, and has been surprisingly quiet in recent months when it comes to the future of Assad. Kemal Alam, a Fellow at Royal United Service Institute and adviser on Syrian affairs to the British Army, seems to think that the deal might bear fruit.